The past 12 months, although challenging, have been extremely eventful. We have lots of positive news as well as exciting developments – so what a better way to round off the year by sharing a couple of our highlights. 2012 was the year for manufacturing innovation with the opening our new £36m coater, situated at the Cowley Hill site, St Helens. The plant, which begun manufacturing in November 2012, is one of the most advanced facilities of its type in the world. 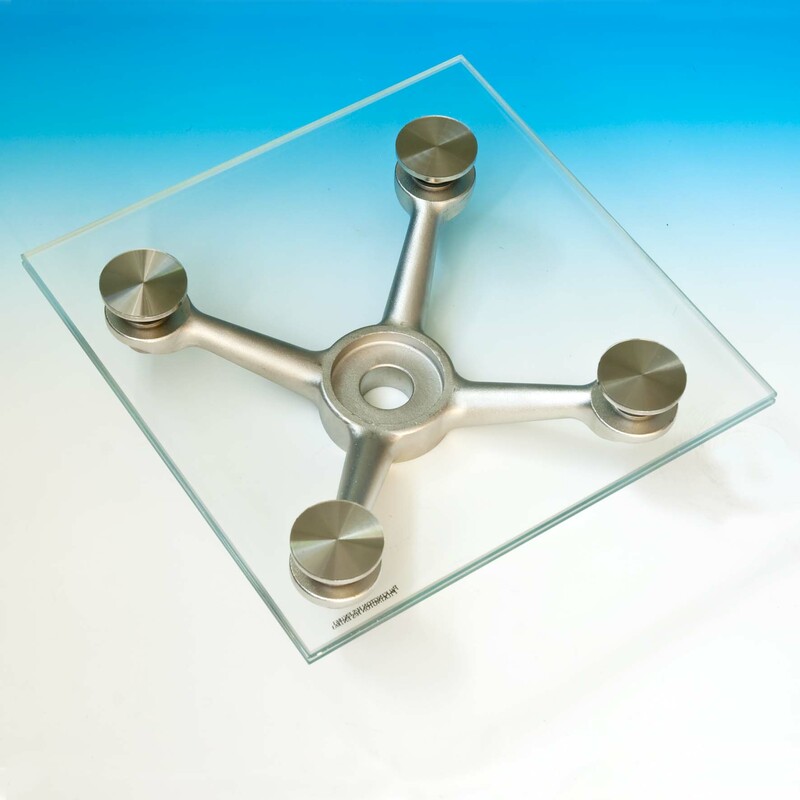 The coater enables the application of ultra-thin special coatings to be applied to glass – allowing for an extensive range of high performance glazing products to be produced. 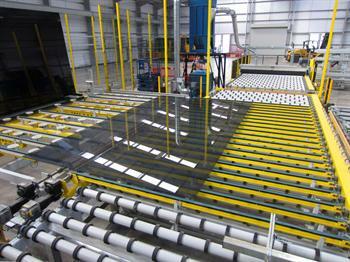 Being Britain’s first jumbo off-line coating plant, it enables us to manufacture a wide range of glazing solutions in the UK – meeting the increase in demand for thermal and energy saving glass products. The plant will initially manufacture the new Pilkington K Glass™ S range as well as a range of solar control products, such as the Pilkington Suncool™ range. As well as manufacturing innovation, Pilkington UK Ltd has also introduced Pilkington Planar™ Crystal Connect™, a new product that was launched in November. Pilkington Planar™ Crystal Connect™, a joint venture with Dow Corning, (a specialist in silicon and silicone-based technology), provides an extension to the Pilkington Planar™ line, providing specifiers with a new unique option in point fixed structural glazing. 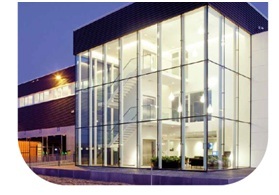 An advance in glass technology, it’s a product that facilitates superior adhesive science, creating structural glass facades with no external discs, trims or cover caps – a development programme that has taken the traditional four sided structural glazing technology one step further. Attaching to the inside surface of the glass only, the fitting technology does not penetrate or interrupt any interlayer which may form part of the glazing panel. As such, this innovative fitting offer architects a unique aesthetic solution. 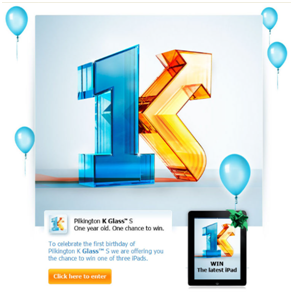 In other news, Pilkington UK Ltd also reached a milestone, celebrating the first anniversary of Pilkington K Glass™ S. Marking this event, the NSG Group gave individuals working in the glass trade the chance to win one of three of the latest Apple iPads. Pilkington K Glass™ S, fast becoming one of the most popular glass products on the market, is the latest high performance, low-emissivity soft coated glass product, with sales reaching over 1.5million square metres of glass to date. Over the past year, other activities have included our presence at the Eco Build exhibition in March as well as our continuous efforts in informing and educating on all things energy-efficient, bringing awareness to the government led scheme, the Green Deal. And lastly, Pilkington UK Ltd would like to wish you very Merry Christmas and Happy New Year. Make sure your stayed tuned in 2013, as there will be lots more to share. See you in January.